...not only was human sacrifice part of the Wari ritual repertoire, it appears that Wari state structures were used to facilitate and promote this ritual production and destruction of human bodies and trophy heads. These acts of violence against the body were not random or unplanned. Rather, they seem to have been well orchestrated acts that brought together military elites who obtained prisoners and heads, ritual specialists with supernatural and technical skills to transform humans into trophy heads, and master artisans that could portray elaborately dressed warriors and deities with prisoners and trophy heads on large, state-produced urns. Adult female cranium covered in cinnabar. From the Wari site of Conchopata. Not only do Tung and Knudson engage in an excellent discussion of violence and warfare in ancient Peru, but they lay out a new technique for analyzing strontium isotope values. 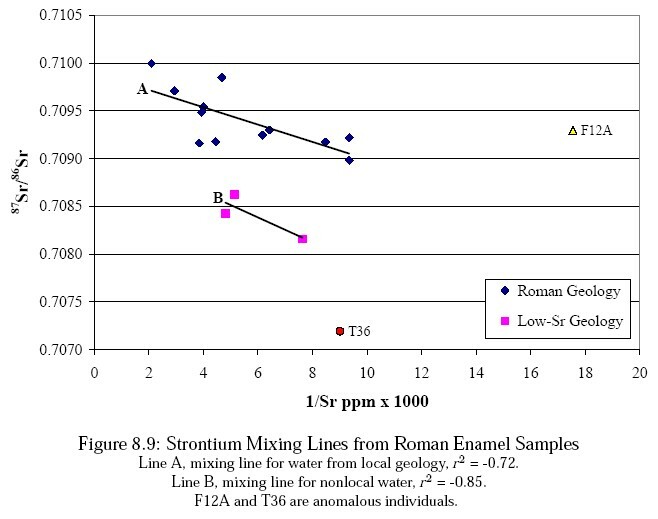 Now, strontium hasn't been as widely used by bioarchaeologists as, say, carbon and nitrogen isotope analyses, which means that in most areas of the world, we don't quite understand the relationship between human strontium ratios and the strontium ratios of the local geology and water. The Peruvian Andes, though, have been very well studied compared to other parts of the world (Germany and England are other areas of pretty good coverage). 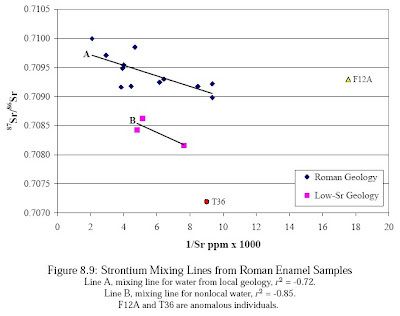 Still, there are overlapping strontium ranges for different sites in Peru, meaning it can be difficult to discriminate among the homelands of the non-locals, and sometimes to even tell whether a person was non-local or local. To deal with this, Tung and Knudson use three techniques. First, they calculate a two sigma local range from the strontium values of small animals. Second, they look at the descriptive statistics (mean, median, standard deviation, etc.) and assume that those individuals on the tail ends of the normal distribution were likely foreigners. 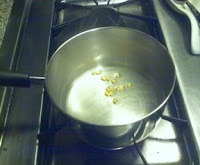 They then calculate the mean and range of strontium isotopes based on the trimmed data (Wright, 2005). And third, the authors introduce a new technique to identify outliers, wherein they basically zoom in on the spacing of the data to find a sectioning point between locals and nonlocals. In essence, when a gap between samples (arrayed in increasing value) gets large, it's possible that the people on either side of the gap were from different places. The authors note that this technique isn't absolute and therefore can't be used in isolation. 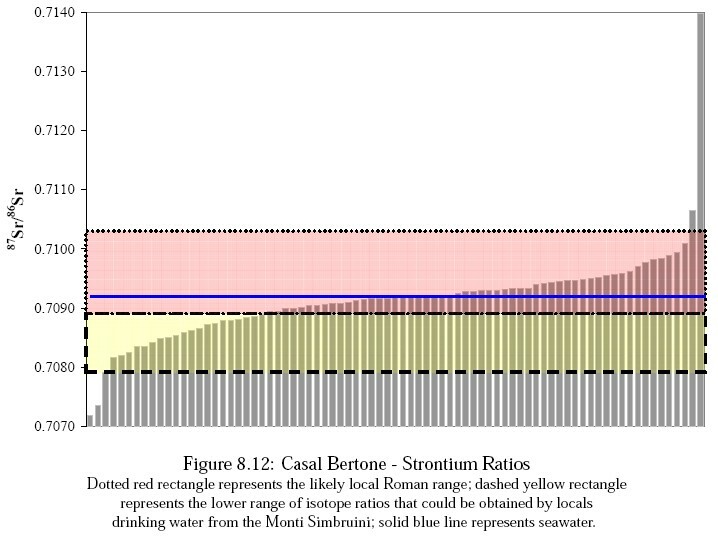 You may expect to see a range of strontium values, as people living in the same place may have used slightly different water sources and had slightly different soil contents. In the graph of my Romans, there are very clear outliers on either end of the graph. The question that Tung and Knudson try to answer with their Wari data is, How do we find the hidden variation within a large data set? From the above graph, you can see that the outliers are still outliers (T36 and F12A). And you can see a linear relationship in Line A, which I interpret as indicative of local Roman geology, with end-members of more or less seawater (.7092) and the volcanic geology of the Colli Albani (.710). I've created a line B with only three data points, so this may not be a valid relationship (although I hope to eventually get more data), but I interpret this as showing the people who lived on low-Sr geology - which could have been people living to the east in the Monti Simbruini or could have been people who, as children, consumed the majority (at least 70%) of their water from an aqueduct that was fed by springs in the Monti Simbruini. Tung and Knudson's article gave me a lot to think about in terms of my own research - I'm excited to look into their new technique and apply it to the Romans as I write up my Sr/O isotope migration research as a journal article. But it also got me thinking about trophy heads in the Roman world. We know the Romans did this - Cicero was quite famously beheaded and impaled on the Rostrum, in the tradition of Marius and Sulla, who displayed their dead captives in the Forum. But I don't know the whole tradition of Roman trophy heads: were they usually foreign captives, much as they were with the Wari, or were locals (aside from Cicero) also given this treatment? K. Killgrove (2010). Migration and mobility in Imperial Rome. PhD dissertation, University of North Carolina at Chapel Hill. J. Montgomery, J. Evans, & R. Cooper (2007). 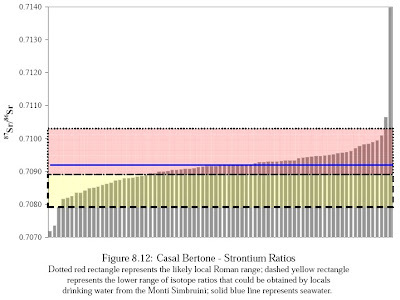 Resolving archaeological populations with Sr-isotope mixing models. 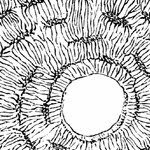 Applied Geochemistry, 22 (7), 1502-1514. DOI: 10.1016/j.apgeochem.2007.02.009. T. Tung, & K. Knudson (2011). 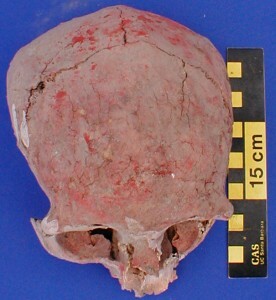 Identifying locals, migrants, and captives in the Wari heartland: a bioarchaeological and biogeochemical study of human remains from Conchopata, Peru. Journal of Archaeological Anthropology, 30 (3), 247-261. DOI: 10.1016/j.jaa.2011.06.005.